US Dollars per One New Zealand Dollar. Average of Month. 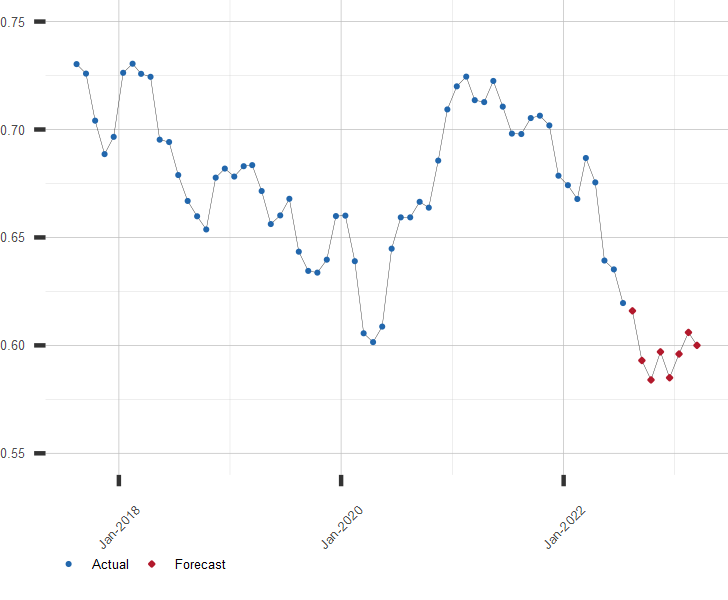 Chart of NZD to USD Exchange Rates with Forecast. US Dollars per One New Zealand Dollar, Average of Month. A long range forecast for NZD to USD and similar economic series is available by subscription. Click here to subscribe to the NZD to USD Extended Forecast.